2016 will see the Southbank Centre launch a new festival called DEEP∞MINIMALISM. Running from June 24-26, the festival aims to celebrate deep sound and meditation with a selection of experimental composers and electronic musicians featuring on the bill. 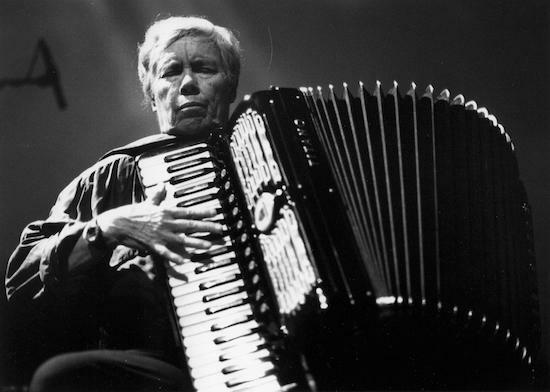 The festival will see Pauline Oliveros lead an audience in a rare mass-participation performance of her work Turning Meditation while Still Point from 1949 will receive a world premiere. The earliest example of live electronic manipulation of orchestral sounds and carried out originally by pioneer Daphne Oram, the piece will be performed live by composer Shiva Fesharecki and James Bulley. Music from a variety of veteran composers such as Meredith Monk, Laurie Spiegel, Galina Ustvolskaya, Éliane Radigue and John Cage will be presented alongside a newer generation of composers such as Mica Levi, Jennifer Walshe, Edmund Finnis, Andrew Hamilton and Catherine Lamb. There will also be a world premiere film screening of Laurie Spiegel, a documentary about the leading musician by artist and filmmaker Aura Satz. Finally, other performers include Patricia Kopatchinskaja, Eliza McCarthy, London Contemporary Orchestra, Vocal Constructivists, Rhodri Davies, Quiet Music Ensemble, Markus Hinterhäuser, Robert Ames and Sound Intermedia. For more information, click here.